Experience Years of translation experience: 14. Registered at ProZ.com: Jan 2006. Became a member: Jan 2006. 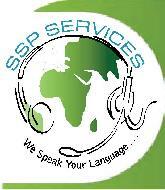 SSP Services offers Professional Translation, Editing, Proofreading and Medical Transcription, DTP services, Data/File Conversions for Indian, Asian, African and European languages. Our areas of expertise includes: Commerce, Culture, Computer, Education, Economics, Finance, Health, Healthcare, Insurance, IT, Law, Legal, Management, Marketing, Medical, Science, Tourism, Websites, etc. We can typeset Books, Journals, and Articles and translated documents in any software's as per your requirement in PC windows & MAC platform. "Presently we are typesetting medical journals in MAC Platform"
We do all type of Data Conversions from/to PDF, MS Word, MS-EXCEL, TIFF, RTF, JPEG, TEX, TXT, HTML, EPS, QuarkXpress, PageMaker, InDesign, Chart, Graph, Database.